Why Is Finding Your Purpose So Vital? At one point or another, nearly everyone asks themselves: “What is my purpose?” Over the years I have heard this question many times, and it’s an important one to ask. The desire to dive into your purpose can come from a variety of reasons, all pointing to the same thing: the longing for true fulfillment. From working with top performers, I know that understanding purpose propels us to accomplish significant things, carrying us through when it gets tough and challenging, and bringing us the true fulfillment we yearn for. Searching for purpose usually comes from a general sense of discontentment. We can clearly see when we (or others) are not in touch with our purpose, nor living it. It’s the feeling of “just going through the motions” of life. No spring in our step or gleam in our eye. This happens to everyone — even highly successful people. In fact, many leaders and CEO’s experience this feeling. They are wildly unhappy, feeling a dark void inside. Often, we convince ourselves that this is simply how life is, or we try to find our purpose by earning money or buying prestigious things, hoping that will bring us a sense of fulfillment and happiness. More is better, isn’t it? If you have felt this way at all, first, know that you’re not alone! Second, don’t stay where you are; there IS more to life. Here is the absolute truth: Money and things don’t bring happiness and fulfillment. Living our purpose on a daily basis does. And it usually brings financial reward in the process. The fact is that every day, we are presented with “openers” that lead to changes we make and ultimately, discovering our purpose. Like a smack upside the head, these openers spark our self-awareness. You see a photo of yourself that you don’t recognize because of all the weight you’ve gained. You have lost so many great performers from your team you finally realize you are the common denominator. From someone else mirroring back your behavior, you realize you’ve become your least desirable parent. You experience something that is physically challenging. These openers are a gateway to discovering our purpose. We are seeing ourselves in a new, often negative way, which causes us to compare who we think we are to how we are actually showing up. Seeing the significant gap that exists between these two is a starting point to making a change and discovering our purpose. Identifying the opener is not the most important step. What is most important is making a change after seeing it. Carry it out and see it through — the sooner the better. So often I see client openers and yet nothing is done with them or the next step is identified but never carried out. This only keeps us in the monotony of our daily life and will never bring about our purpose. Starting a new way of eating that will result in releasing weight. Registering for a half-marathon or Ironman to change a whole host of behaviors contributing to your current, overweight state. Identifying the traits you are exhibiting, like your least desirable parent and actively changing them. Finding a business psychology coach to develop your purpose or that of your team members. After you carry out the first step, take another. And then another. In fact, identify the next step you are going to take prior to completing the current one. This will take you further and further. As you take each step, you will discover your purpose. You might discover your purpose right away, or it may take 100 steps. When your purpose is discovered is immaterial. Stay with the process and you will discover it, having fun and adventure along the way. Once you discover your purpose, pursue it — no matter what it is or what it takes. This is where the best things in life happen, and the world looks entirely different. This is where you are excited to wake up every morning, and where “work” no longer feels like it. It feels like something you would do even if you weren’t being paid. So, take this information, watch for the openers, and when they show up, take the next step! It’s up to you: You have the option of continuing your current life, or pursuing one of daily fulfillment living your purpose. Your choice. Karen Brown is a subject-matter expert in the field of leadership and professional performance. 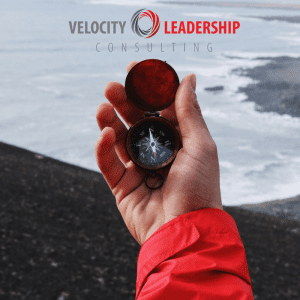 She is the CEO of Velocity Leadership Consulting, supporting senior executive leaders to elevate performance by making behavioral changes using scientifically proven methodologies and techniques. She has appeared on 37 leadership podcasts and featured in many publications, including two books, the latest being endorsed with a 5-star rating by legendary Brian Tracy. Her favorite quote is by Carl Jung, “what you resist, persists until you deal with it.” She enjoys helping execs deal with the things they are resisting, is a continuous learner, an international ultra-endurance athlete, and resides in Colorado.